The San Diego Rapid Response Network (RRN) let local media tour its newest shelter for migrant families Wednesday, just hours after U.S. Customs and Border Protection announced a one-day record for apprehensions and encounters at the U.S. Mexico border. The RRN repurposed an old courthouse building in Bankers Hill after the San Diego County Board of Supervisors voted in January to lease the building for $1. County Supervisors said the new facility will help staff and volunteers process thousands of asylum-seeking families that have made their way into the U.S. 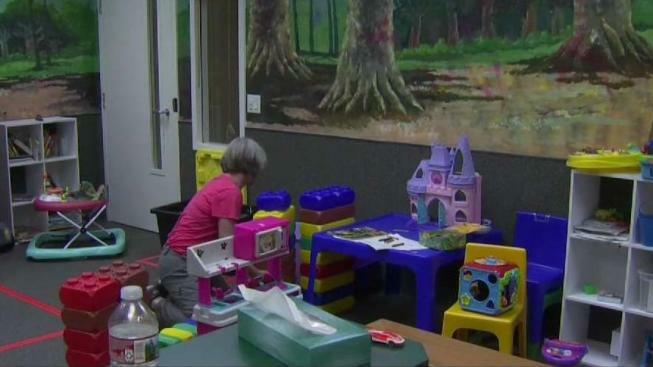 The County says more than 11,000 families have been processed through its shelters since last November when the federal government stopped providing assistance to asylum seekers. Last month, California Governor Gavin Newsom signed a bill allowing $5 million to fund community organizations that provide service to asylum-seeking families. CBP apprehended more than 4,100 people in one day, marking the most one-day apprehensions in the past decade. NBC 7's Bridget Naso has more. The RRN will use $2.2 million of that allotted funding through the end of June, but says it needs hundreds of thousands more to get through the end of the year. CBP tweeted that agents made 4,117 apprehensions or encounters along the border on Tuesday, dozens more than the 3,700 recorded the day before which CBP said was the most the agency had seen in 10 years. 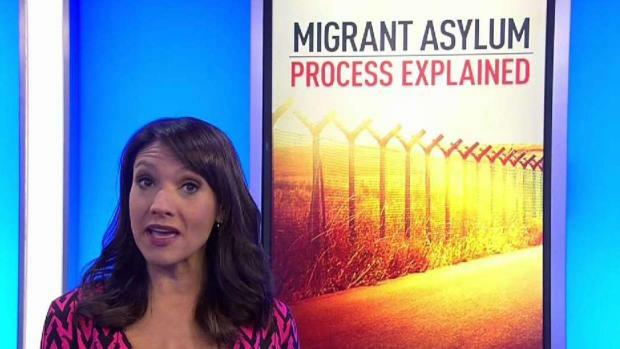 Last week, President Donald Trump announced that asylum seekers would no longer be granted shelter in the U.S. and would instead have to wait south of the border until the courts are ready to hear their claims. The administration hoped that making asylum seekers wait in Mexico would discourage weak claims and help reduce an immigration court backlog of more than 800,000 cases. But advocates for the thousands of asylum seekers from Central America now camped in shelters or in the streets in Tijuana, many of whom complain of unsafe and unsanitary living conditions, say the policy change is to blame for the rising tensions at the border. 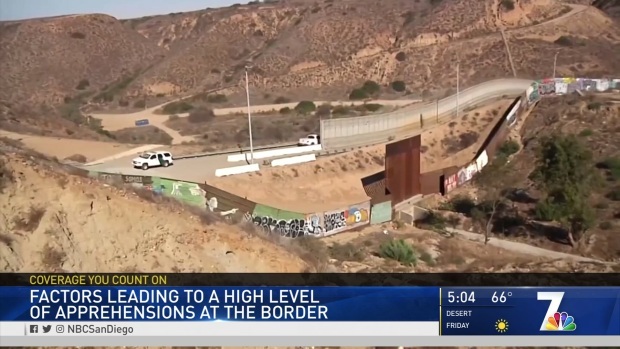 Immigration attorney Cesar Luna told NBC 7 he believes the policy change is a strategy the U.S. government has deployed to make things more difficult for migrants. “Unfortunately, the new procedures that have been recently established, we believe they're wrong. They are, perhaps, even illegal with regards to having people stopped at the border and having to wait for their turn in Mexico,” Luna said. Pedro Rios with the American Friends Service Committee says President Trump’s policy change doesn’t agree with international asylum procedure. “The U.S. is making it so difficult by posting agents at ports of entry denying people the ability to come in, to force them to get some sort of number and wait months in Tijuana -- it's inconsistent and violates those international agreements around asylum procedures,” Rios said. Supporters of the Trump administration's policy say the crisis at the border is evidence of the need for an extended border wall. Those on the other side say the U.S. should continue to help the impoverished countries where drug cartels are terrorizing citizens are driving them north out of apparent desperation.